This article explains how to use schedules in complex mode, with Finish to start dependencies between tasks. 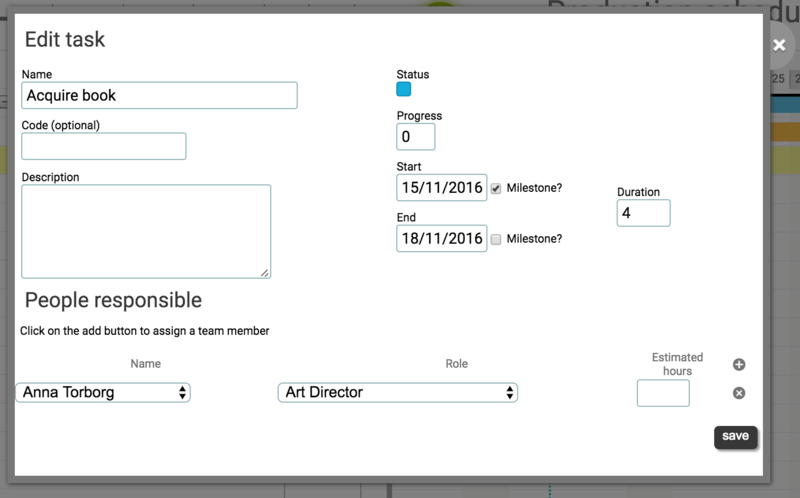 If you prefer to use them for more straightforward to do checklists, read Create a simple schedule from a template. This article shows how to create a schedule from a template. If you have not yet created a schedule template, follow these instructions to do that. 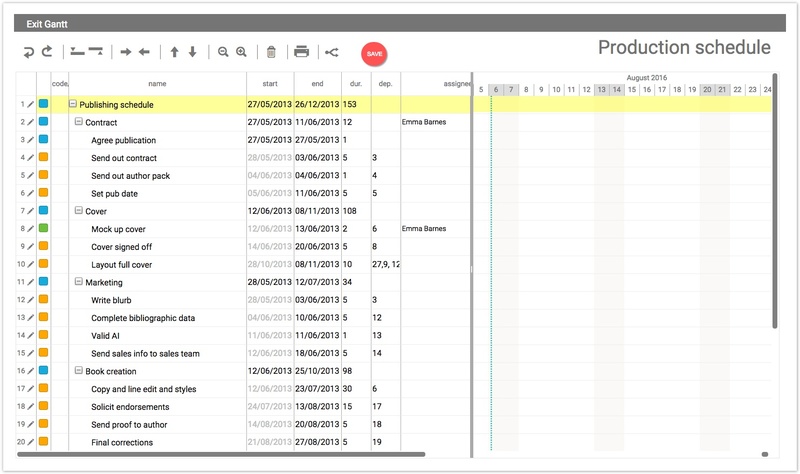 Once your task details and dates are edited, freeze them as ‘baseline dates’, to track progress against the plan. Go to Work > Overview. Scroll down to Workflow > All tasks. If your schedule template is a complex one, it helps to zoom out. Use the magnifying glass icon with the minus sign in it on the top toolbar. If you have complex dependencies, dragging like this can extend the parent tasks beyond their children. The Gantt chart editor can not calculate the total time required when there are dependencies outside of a task’s sibling group. This will not affect your dates but can look odd. To avoid this, only have dependencies between tasks at the same level: within a parent group, or between parent tasks, as shown here. Enforce the idea that a task can only start if another is complete. Either type the row number of the task on which the task is dependent, or drag to link the two tasks. Milestones are useful if you have any hard deadlines in your workflow such as a publication date. Once you’ve created a milestone, it will not slip back if the preceding tasks run late. It will only change if you amend it manually. However, notice that any preceding tasks shorten to account for the slippage. Tick the checkbox next to either the Start date or the End date, or both. Indicate a task is complete by updating its status to the colour green. Amend a parent task to update all its subtasks. Under Assign a team member’, click the **Add button. Click Save to return to the Gantt view. What if I see an error message? From time to time, you may see a validation notification, like the image below. This message is caused by trying to modify a task that’s dependent on an open one above. Here, because ‘Layout full cover’ is dependent on ‘Calculate spine width’, it can’t be set to ‘Done’. To resolve it, click OK to return to your Gantt chart. Go to Workflow > Tasks ⤴. Scroll to a task you want to make a key task, e.g. ‘Editorial handover to production’. Click the row dropdown, then click Set as key task. This is undo-able later, if necessary. To undo the baseline dates, click the row dropdown, then click Unfreeze baseline dates . 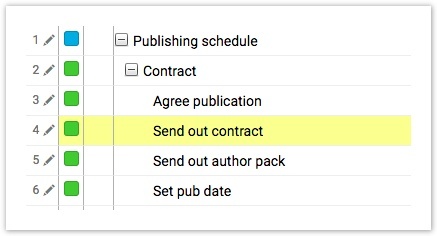 If the row concerns a publication date, the date in this column is the publication date, which you can find on the metadata page in the Dates section. If the word Frozen appears, however, then this date is the Expected publication date, found in the same metadata page section.